Below you can view all the homes for sale in the Leafmore subdivision located in Decatur Georgia. Listings in Leafmore are updated daily from data we receive from the Atlanta multiple listing service. To learn more about any of these homes or to receive custom notifications when a new property is listed for sale in Leafmore, give us a call at 404-998-4097. Walk To Popular Restaurants And Nearby Shopping! MLS#6524415. Re/Max Metro Atlanta. Excellent Upside Potential With Needed Updating/Renovations. MLS#6521505. Homesmart Realty Partners. Excellent Upside Potential With Needed Updating/Renovations. 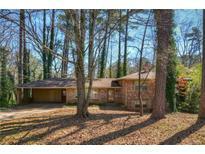 MLS#8547915. Homesmart Realty Partners. Owners Eligible To Join The Leafmore Swim And Tennis Club And Access Private Security. MLS#6518542. Finn And Company Real Estate. Active, Established Neighborhood Near Everything You Need And Want - Shopping, Grocery Stores, Oak Grove Village With Neighborhood Market, Dining, Gyms, Yoga, Coffee Shops, Schools, Parks, Interstates And Much More! This Is A Must See. MLS#6107080. Keller Williams Realty Metro Atl.